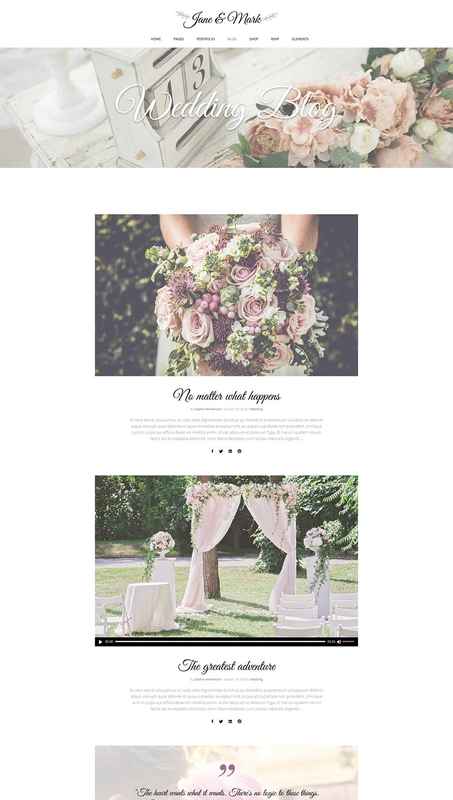 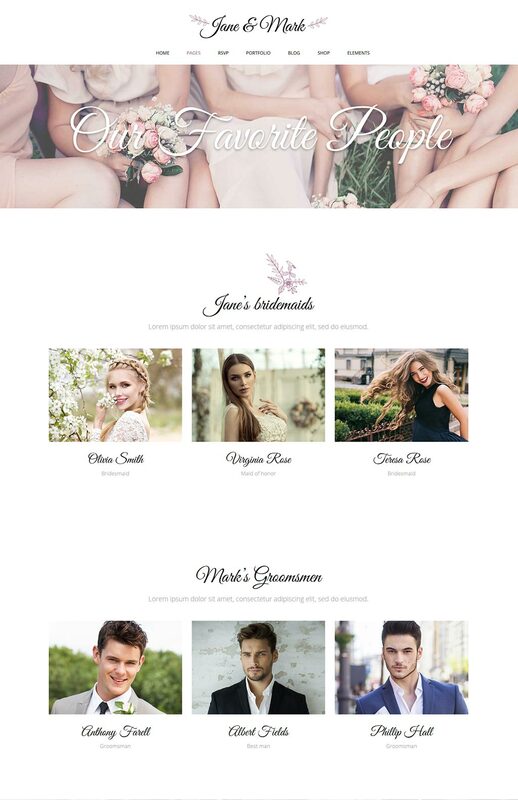 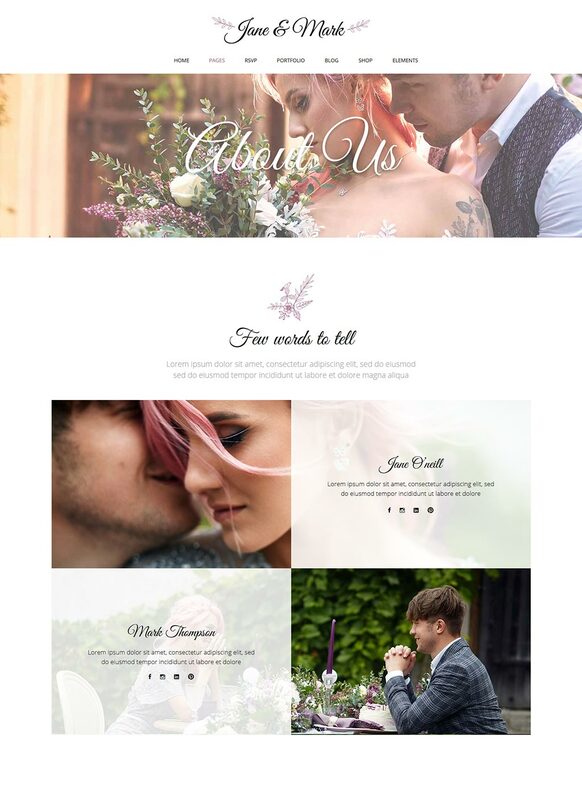 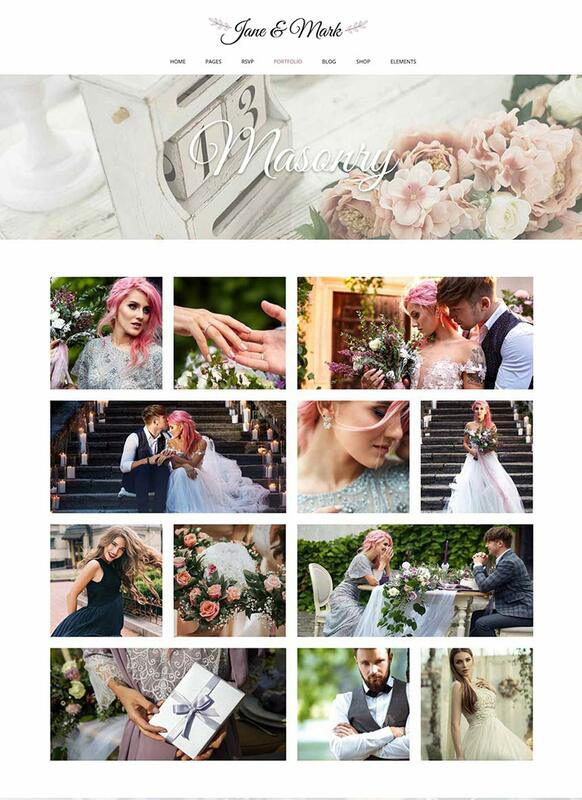 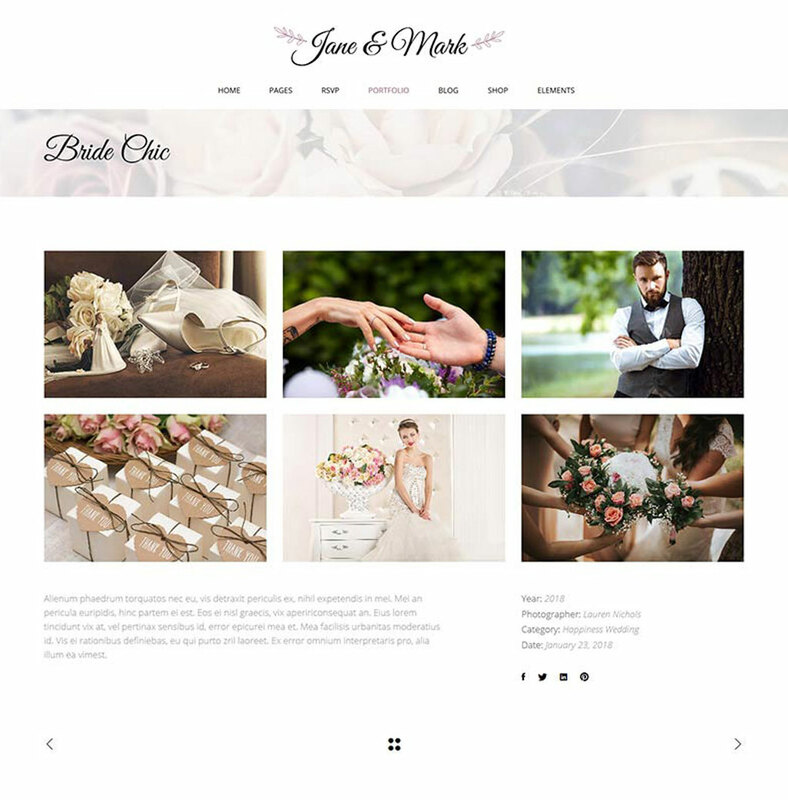 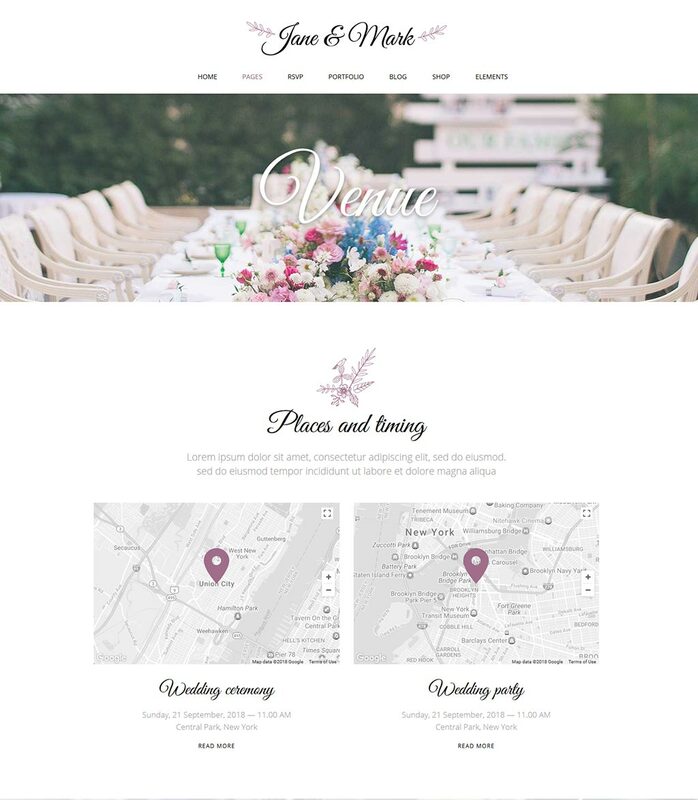 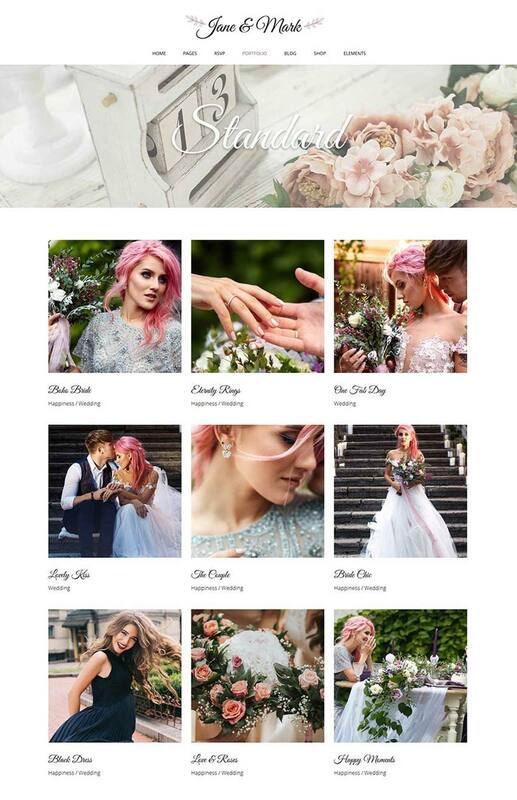 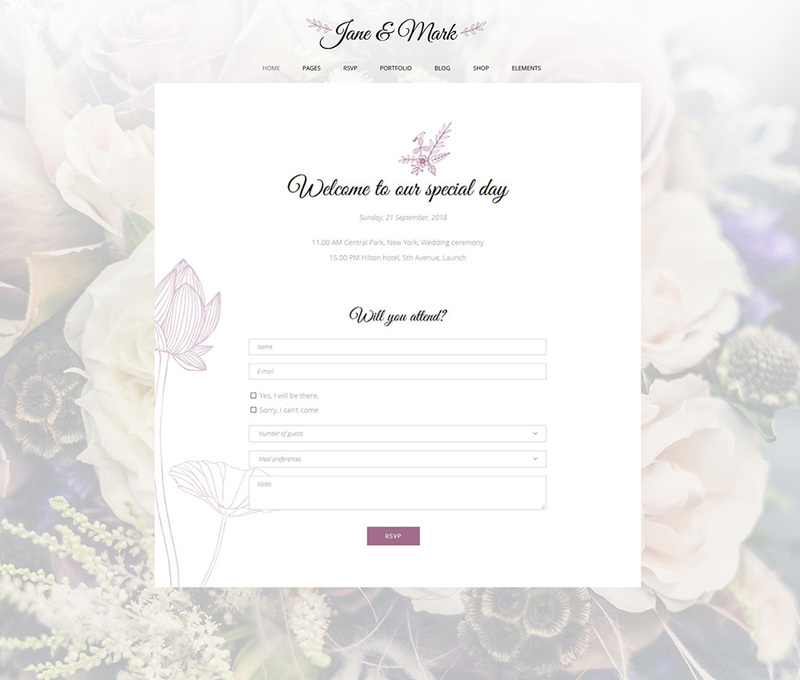 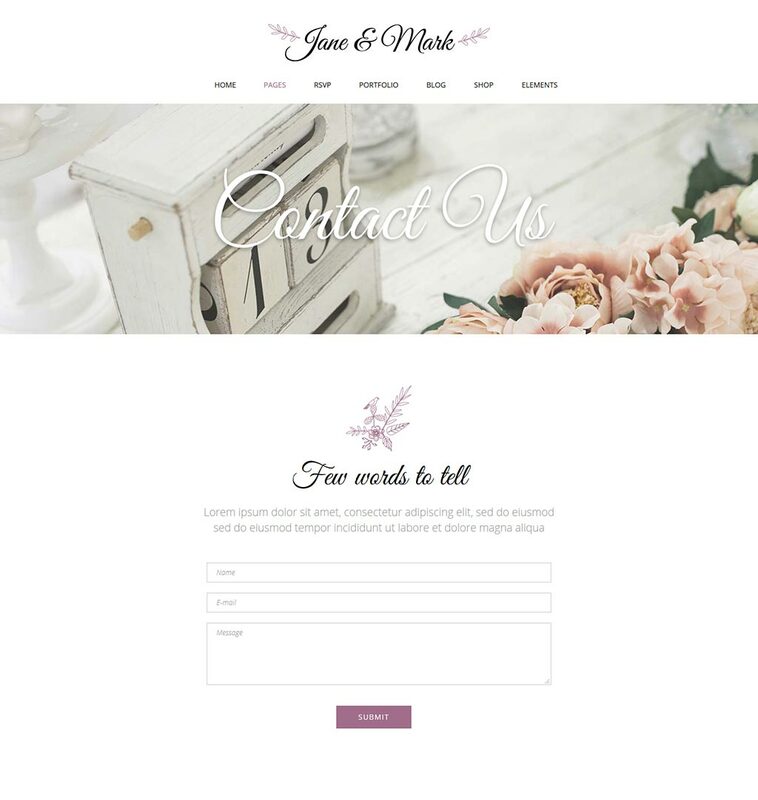 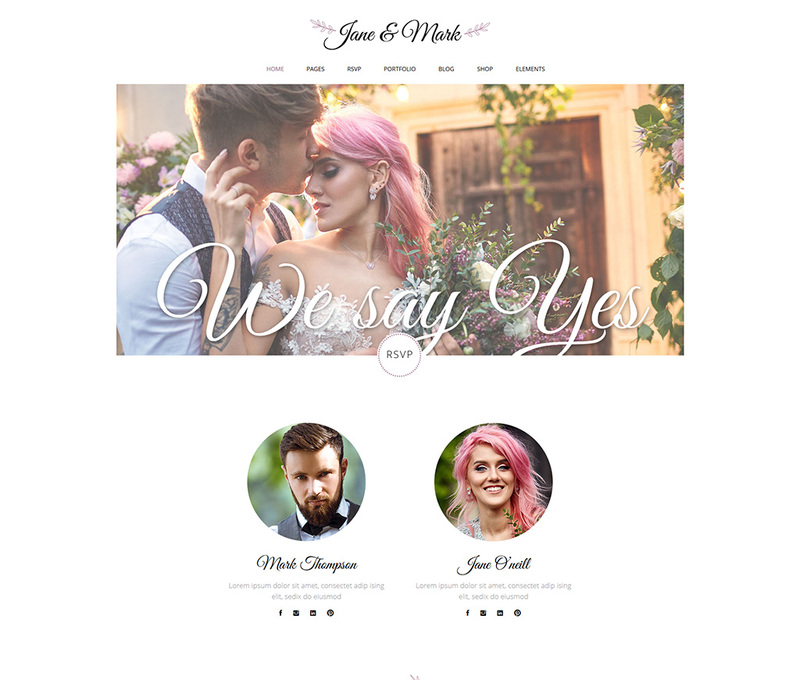 A theme packed with absolutely everything for creating stylish online presentations for wedding ceremonies quickly and with total ease. 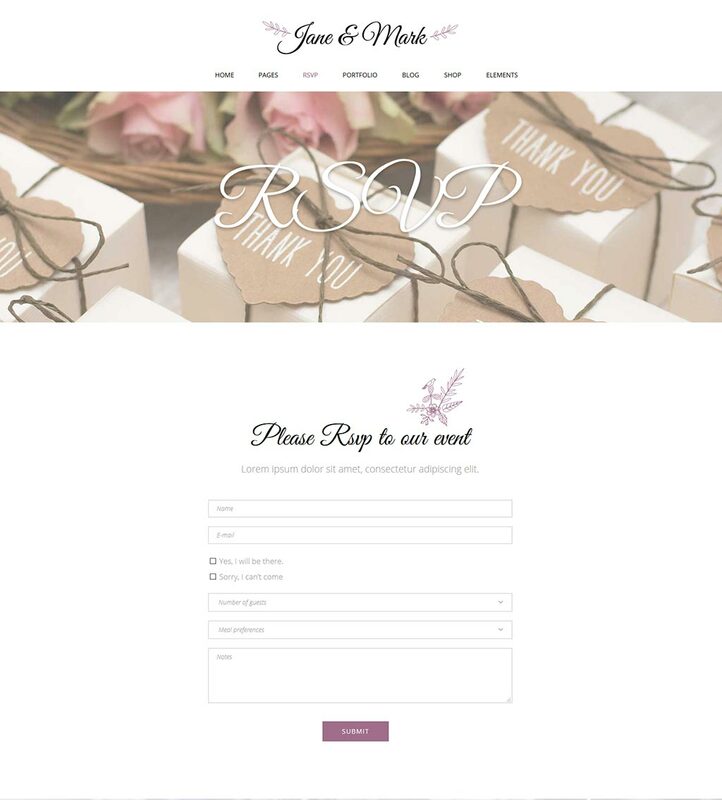 A gorgeous set of practical layouts for presenting the venue, your bridesmaids, groomsmen, sharing the gift registry, the RSVP form & more. 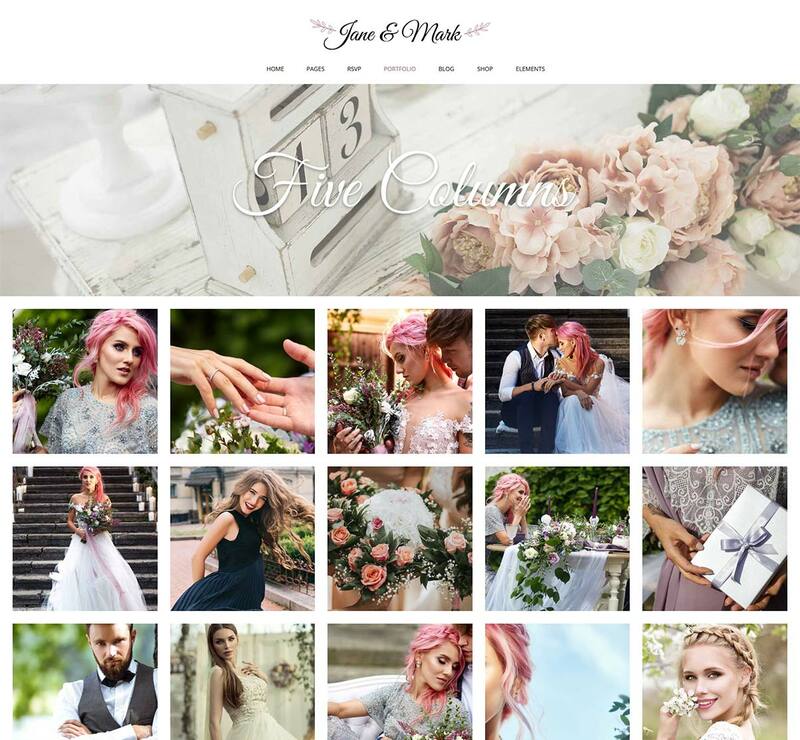 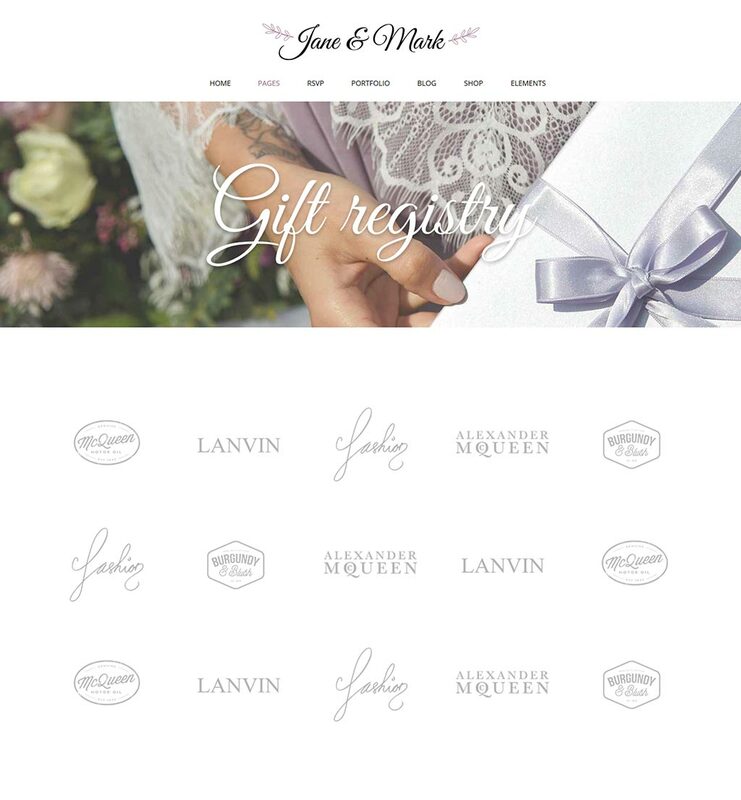 Jane & Mark’s astounding collection of portfolio lists, sliders and single project layouts make for a great way to showcase your event in all its glory. 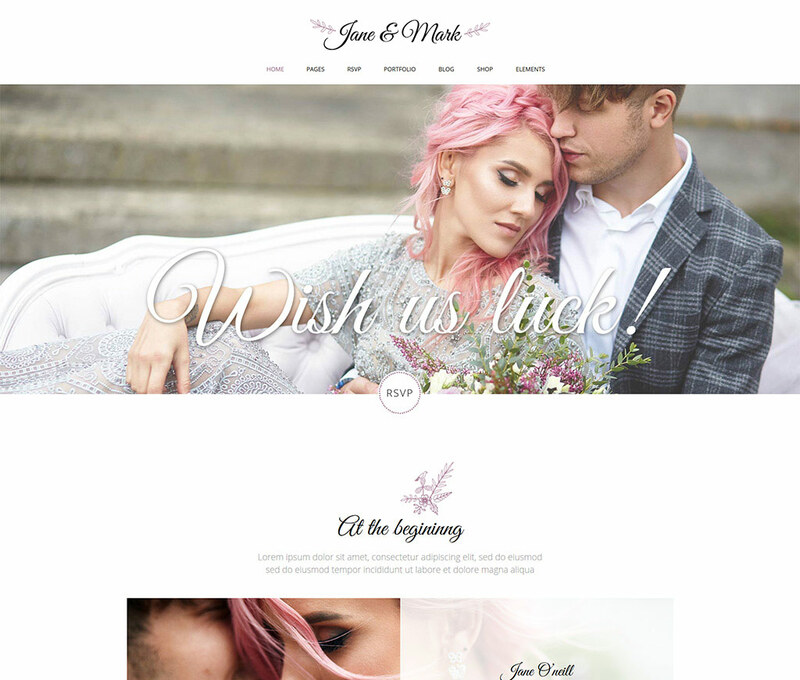 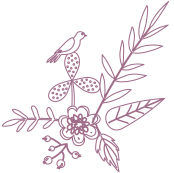 Share your stories and convey all the necessary information to the invitees about the ceremony with the help of stunning blog lists and single post layouts.